If you have moles, you’ll notice dirt mounds and surface tunnels. You may find that when you walk across your lawn, you sink into the ground. Voles eat trees or shrubs, clover, seeds, bulbs, grasses and domestic garden plants like spinach, beets, turnip, tomatoes and more. 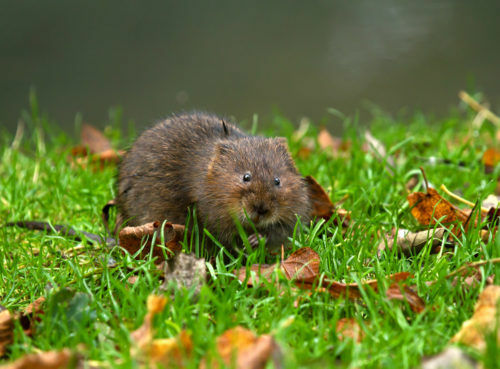 Voles can decimate your gardens and also cause damage to your lawn in the same way that moles do. 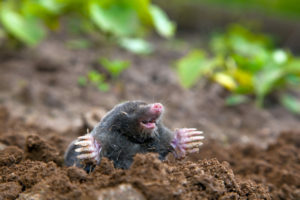 While there is little risk of Moles or Voles becoming an issue inside your home, they can wreak havoc to our yards, lawn, plants and beddings. Until now there has been little that could be done effectively to stop them from tearing up our landscape. They are vastly different with regards to damage, dietary needs and general biology. They do have a very important thing in common.